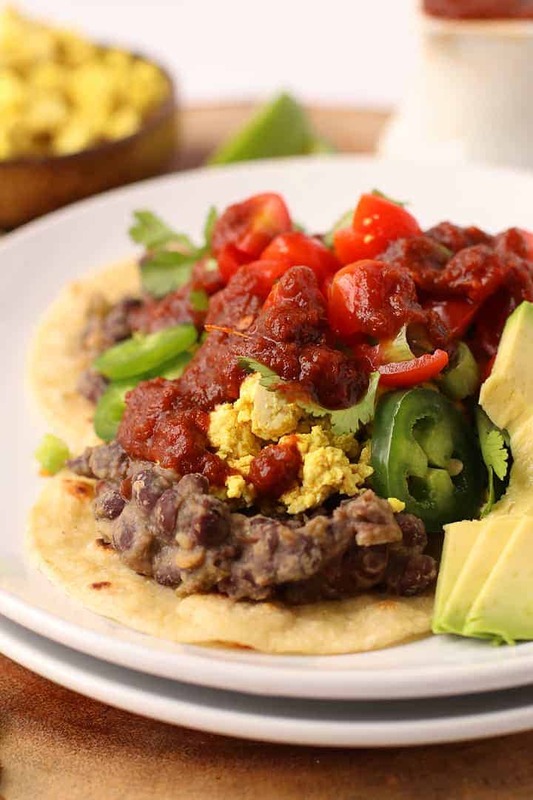 Start your day off right with these Vegan Huevos Rancheros. 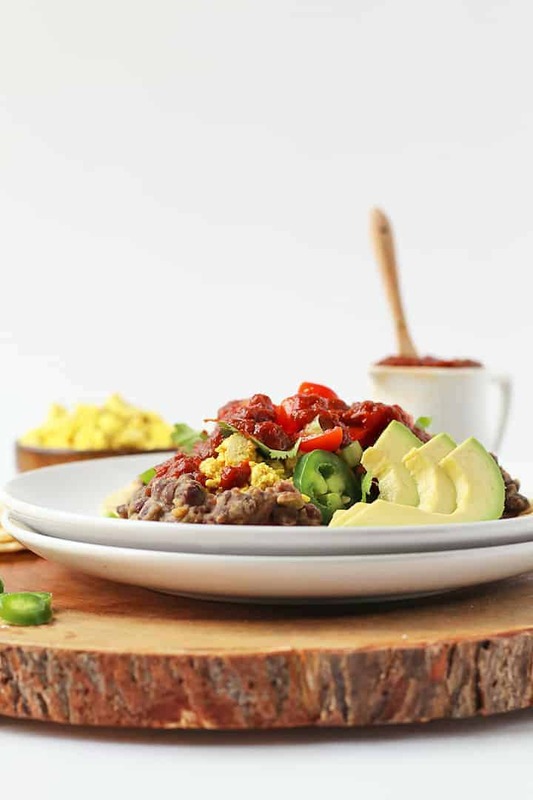 Made with scrambled tofu, refried beans, and spicy rancheros sauce for a hearty and healthy breakfast. I’m super pumped about this week. For one thing, spring officially starts TOMORROW and I could not be happier. For the last several weeks I’ve had major spring fever and CANNOT wait for the sunny days ahead. Secondly, it’s my birthday week! And, truth be told, I like getting older. 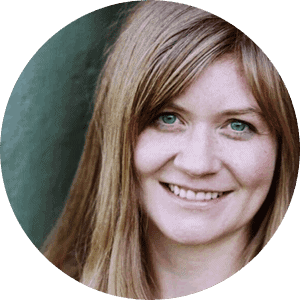 Life has continued to become fuller and richer with each year and I have many great feelings about the new one I’m embarking on. Lastly, I’m headed out of town on Wednesday to drive down the coast for a 5-day road trip that will take me to the California redwoods. What better way to celebrate the beginning of spring and my birthday than with a slow trip down highway 101? 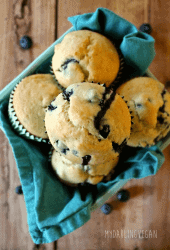 But before I go, I have one more recipe to share with you! Vegan Huevos Rancheros, my friends! Huevos Rancheros is a traditional Mexican breakfast; a combination of fried eggs (heuvos), rancheros salsa, refried beans, and cheese served over lightly fried corn tortillas. It’s a hearty, savory breakfast filled with fresh flavors and tons of protein AND, for that reason, happens to be one of my favorite weekend breakfasts. To lighten up these vegan rancheros, I made a fresh pico de gallo and topped the huevos rancheros with fresh herbs and lime juice. To finish it off, I added a few slices of avocado to provide a creaminess that the cheese would otherwise offer. 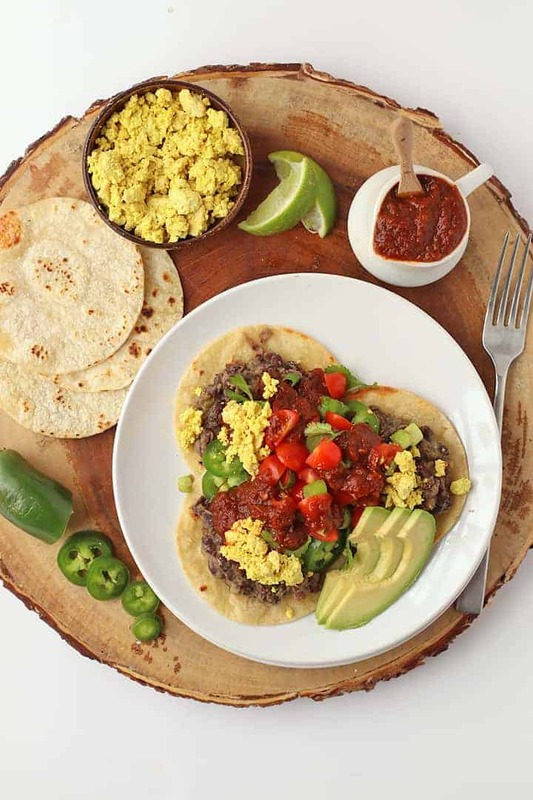 For these vegan huevos rancheros, I use a batch of these easy vegan scrambled eggs in lieu of fried eggs. 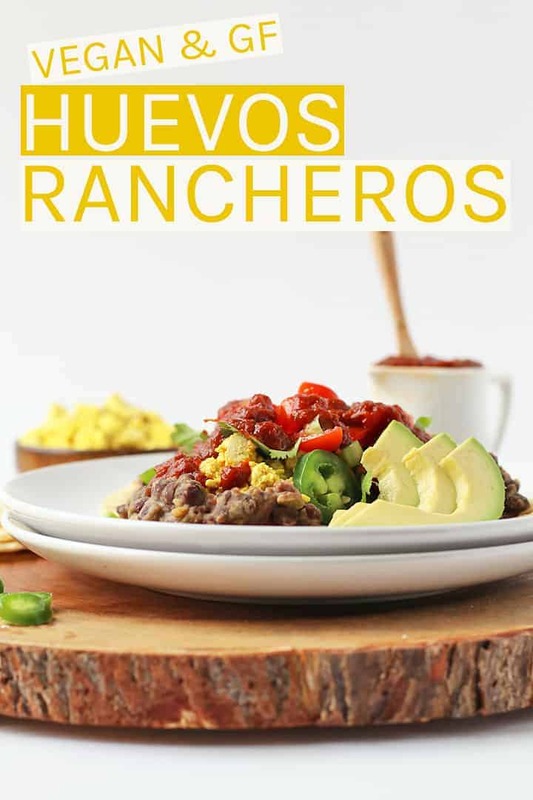 While it changes the texture of traditional huevos rancheros, the scrambled tofu is a nice contrast to the refried beans and rancheros salsa. Alternatively, you could create a tofu steak in lieu of the huevos, similar to that of my Tofu Benedict. 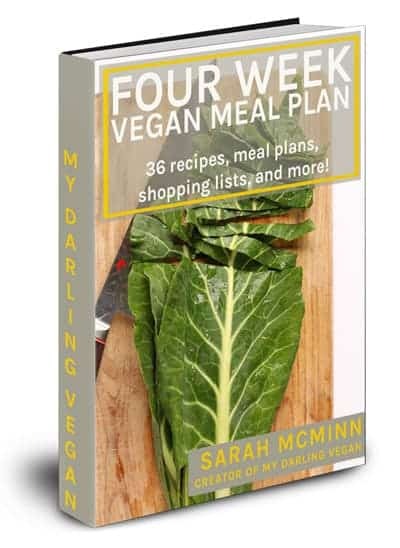 How to make Vegan Rancheros? This recipe is so easy and straight-forward. 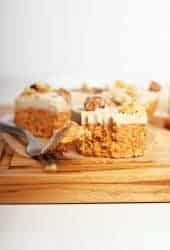 It can be made in just about 30 minutes with minimal mess. 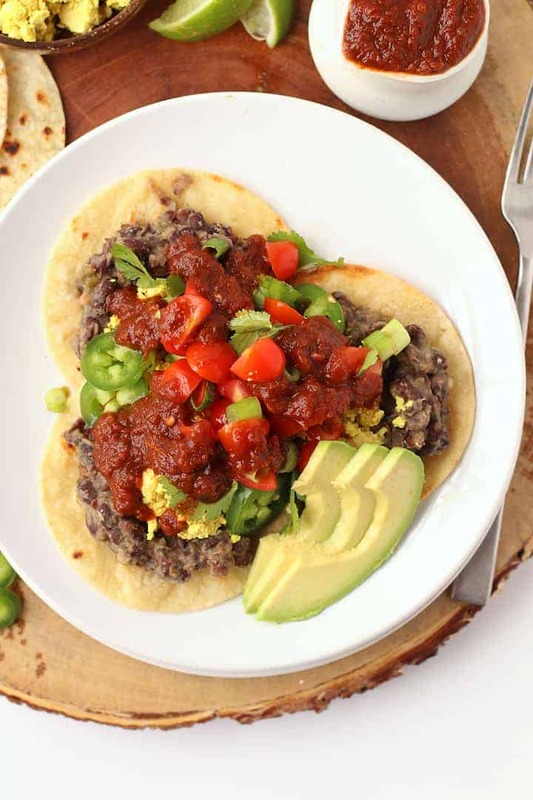 Let’s take a step-by-step look at how to make these vegan rancheros. 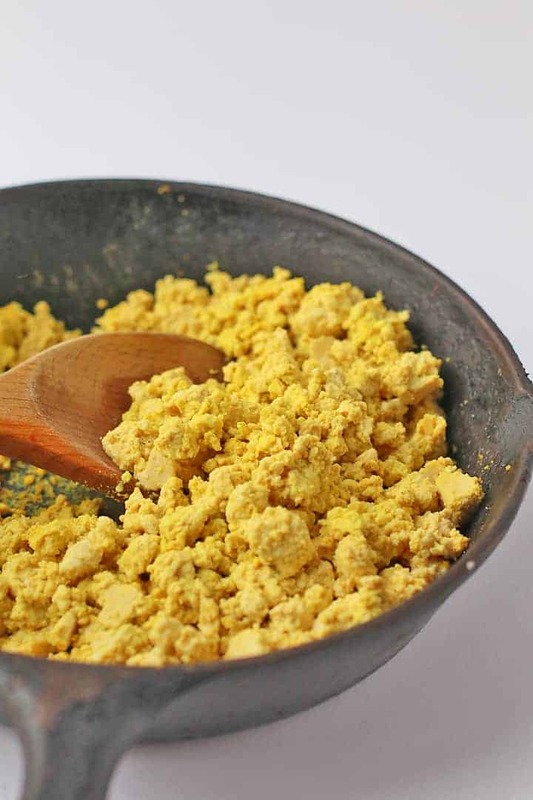 Make the scrambled “eggs” by sautéing minced onions and garlic with crumbled tofu, nutritional yeast, and lemon juice. Sauté until the tofu is cooked all the way through and set aside. In a small saucepan, heat the salsa ranchero over medium heat. Bring to a simmer and let simmer for 15 minutes, until the salsa has reduced and thickened. In a second pan, heat the black beans over medium-low heat until they are warmed all the way through. While salsa is simmering and black beans are warming, heat the oil in a large skillet. Add corn tortillas and pan-fry on each side for about 2 minutes, until golden brown and crispy. Now it’s time to assemble! To assemble, place 2 corn tortillas on each plate. Top with refried beans, scrambled tofu, salsa rancheros, and pico de gallo. Add remaining toppings of choice and serve immediately. These vegan rancheros should be eaten immediately while the tortillas are crisp and the beans and salsa are still warm. Unfortunately, these rancheros don’t store well. Once assembled, they should be eaten. However, you can store the components for these rancheros separately and reheat them when you are ready to eat. Serve as part of a hearty breakfast or brunch alongside a Bloody Mary. Sure, while flour tortillas are less traditional, they would work just fine. Can these be made soy-free? Yes. 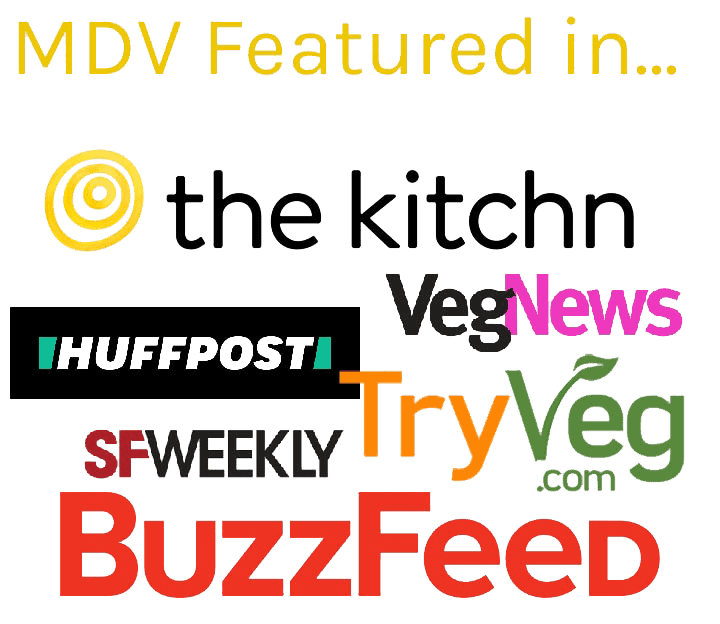 If you can’t have tofu, try making vegan eggs with chickpeas following these instructions. Salsa Ranchera is a traditional cooked Mexican salsa with tomatoes and serrano chilis. You can buy your salsa ranchera online or make your own at home. Now, let’s take a look at the recipe card below! If using homemade pico de gallo, make that first according to these instructions and refrigerate until ready to use. Make the scrambled "eggs" and set aside. In a small saucepan, heat the salsa ranchero over medium heat. Bring to a simmer and let simmer for 15 minutes, until the salsa has reduced and thickened. Heat black beans over medium-low heat in a small pan until they are warmed all the way through. To assemble, place 2 corn tortillas on each plate. Top with refried beans, scrambled eggs, salsa rancheros, and pico de gallo. Add remaining toppings of choice and serve immediately. Just wow, this recipe is looking so much delicious and it brough water into my mouth. I’m not truly vegan: just a VB6 enthusiast. Once I tried this, however, I thought I might never go back to scrambled chicken eggs. The tofu scramble is delicious. I was tempted to leave out the lemon because I wasn’t sure about that tangy taste in a scrambled egg substitute. Once I tasted the scramble I realized the lemon would work with the nooch to give the mixture a bright flavour, which it did. I had canned refried beans in the house and they were fine in this recipe. I added Penny’s pico de gallo from Costco and a homemade mango salsa from the Moosewood cookbook. Dynamite! I can’t wait that I am heading out today to grab some ingredients. This looks really delicious. that looks delicious, definitely gonna try out some this weekend. thanks. OMG! This looks really delicious. I super love it. I am actually badly craving for this. In fact, I can’t wait that I am heading out today to grab some ingredients. 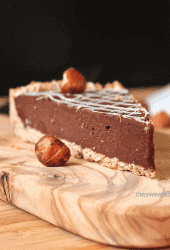 Thank you for sharing this amazing recipe.